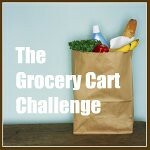 The Grocery Cart Challenge: Don't Throw It Away! Part of living on a tight grocery budget is making sure nothing goes to waste. But there are some things that I’ve caught myself throwing away that I’ve learned I can re-use so I thought I’d share on the off chance someone out there is tossing away the same things. 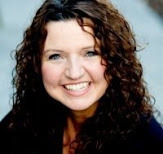 Pickle Juice – when someone has eaten the last pickle out of the pickle jar, I can’t tell you how many times I’ve dumped that juice down the drain only to think, “There must be some use for this stuff.” And sure enough there is. If you refill your jar full of juice with fresh slices of cucumber or other vegetables, you’ve got instant homemade pickles. Jars of green olives with whole cloves of garlic in them - My family LOVES these salty green olives so if I can find them cheap and sneak it into my budget, I like to buy them as a treat. But sometimes in the bottom of the jar are 6-12 whole cloves of brine soaked garlic. These can be minced and added to soups, roasted up and spread on crackers or bread for a snack, or like my husband does…popped in your mouth like the olives. Syrup from canned fruit - Save that liquid! It can be added in place of the liquid in your muffins, it can flavor your homemade sweet breads made in your bread machine, it can be thickened and used for syrup over pancakes. I’m sure there are plenty more ways to use it. Packing liquid from your canned Veggies can be kept in a container in your freezer. Keep adding to it until you have enough for a healthy soup base. It’s usually just water, filled and flavored with all the nutrients from the veggies. What a nutritious broth that makes. So those are a few ideas on how to re-use what we would normally throw away. If you’ve got more ideas I’d love to hear them. Pickle juice also makes a surprisingly good marinade for chicken. I love to put pickle juice in my cole slaw or potato salad for a little extra tang. I love the heels of bread for an extra crispy-toasty sandwich for myself. Never thought about saving the liquids from canned fruit and veggies though. Good ideas. I am SO much more vigilant now about saving that last little blob of jarred pasta sauce that usually sits in the back of the fridge and molds. Toss it in a freezer bag and put it in the freezer for the next batch of sauce. Produce getting yucky? Chop and freeze onions and/or celery, whatever, really for the next recipe or soup. Freeze those last few blueberries no one will eat now. Definitely freeze all leftover broth in 1 cup servings for sauces and soups. I love having those things in my freezer. I like to save the containers things come in, wash them out and they can be used for all sorts of things! Peanut butter jars are great for bug catchers and for storing ribbons. I like to scrapbook and baby food jars can hold all the little odds and ends, they're also great for holding small office supplies. Formula cans make good pencil/crayon/marker holders. Ice cream buckets can be used to store toys. Things like cereal boxes and toilet paper rolls can make a lot of entertaining toys for kids. One time we made a small city out of the boxes that kept the kids busy for a few hours. Once they're trashed we throw them out and start a new collection. Fantastic ideas! I would have never thought of them! Can't wait to try the homemade pickles! What terrific ideas Gayle! love them. I especially like the idea of not tossing out the veggie juice, and adding it into a broth or some other thing. very clever my dear. I grew up putting the juice from (home) canned fruit in the bread and rolls, and mom would even use the bean juice from canned beans, sometimes noodle water, potato water, etc. Beet juice (lol) makes lovely PINK bread!! She started using in the whole wheat recipe, though, so it wasn't as noticeable. I love the pickle juice idea...when we finish a jar of jalepenos or greek pepper rings, I slice up carrots and put in the juice..they are really good. Also for empty jars, I use them to store old grease, when they get full I just toss them in the trash. I always save the left over pieces of cornbread and left over biscuits. THen I can make dressing when ever the mood strikes other than thanksgiving. I also save all bananas. if they start getting too ripe, I just peel em and throw them in a ziploc bag. I try to only freeze in four's that way I can pop out a bag, thaw and make banana bread. The bread is better when using frozen bananas. more banana-y flavor. I also keep an ice cream bucket in my deep freeze. When we have left over veggies, I just add them to the bucket. When the layers build up high enough--it's soup time. Good tips! I've never thought about using the pickle juice, although I used to know someone that would drink it. I love bread heels so I eat 'em! No waste there! LOL! great idea on the pickle juice, thanks! i make sandiwches out of the heels. just turn them backwards so the "heel side" is the part you spread the pb on...fool's 'em every time! Great tips. I never would have thought of these! Impressive, as always.